There have been so many great Marvel movies. Ant-Man (2015) surprised us with a good old heist movie, which was a nice change of scale and pace to the super big superhero movies. In 2011 the best movie in the series so far was released, with X-Men: First Class (2011) giving us the most tragic love story between Xavier and Magneto. The first X-Men (2000) gave us a new bar for superhero movies, and then X-Men: First Class raised it, and now Logan (2017) takes it to a whole new level. I am going to write a spoiler free review of the movie first since most of you have not seen the movie yet, nor read the comic. But at the end of this review I will be discussing a few scenes which made a huge impact on me. Worry not, I will tell you clearly when the spoilers begin. That’s how good the movie is! First of all forget that this is a superhero movie, because that’s irrelevant. This is a cruel and painful modern western, of that archetypal one last gig. The fact that it’s told with superheroes only adds to the suffering. And this is the movie that proves beyond any doubt that superheroes are not only for kids and “like minded” people. Superhero stories can be meaningful for even the more “serious minded” people. The story happens in the near future. 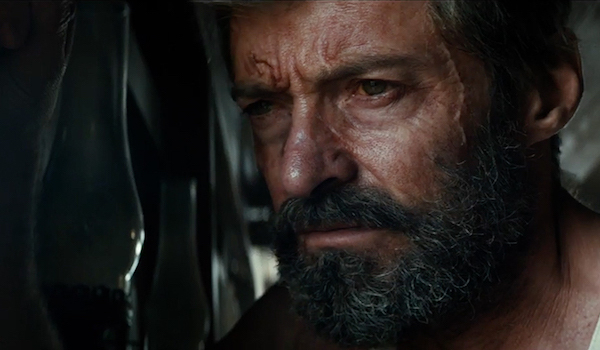 New mutants have not been born in the last 25 years and age has finally caught up with Logan (Hugh Jackman). He is seriously ill, his healing powers failing on him. Pretty much everyone he knew has died. 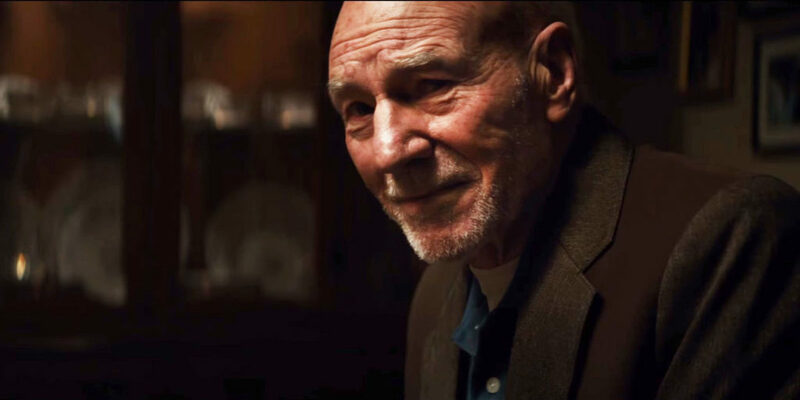 And he drives a limousine to financially support Charles Xavier (Patrick Stewart), who has grown old and apparently suffers from memory problems. If Xavier is the world’s most powerful mutant, what happens when he starts losing it? There is no hope left for anyone. Caliban (Stephen Merchant) is taking care of him, but he is getting worried about how long he can manage Charles. And then, on one gig driving the limousine, a Mexican woman recognizes Logan and asks for his help. Her daughter, Laura (the amazing Dafne Keen), needs rescuing. Logan tells them to piss off, but then events start to unfold, and Logan, Charles, and Laura end up running for their lives. It can not be a coincidence that this movie has lots of walls and fences and people running for safety from Mexico towards the north. The later parts of the movie are set in North Dakota, on the Canadian border. The mutants run for Canada, because the USA is not safe for them anymore, even though it was supposed to be their Eden. And it is amazing how the director and everyone else in the movie have bravely cut off everything that is irrelevant to the main story. The locations don’t really matter, because this is not a road movie. This is the last gig, the desperate run for their lives. And the fences are not helping. The first fence we run into sets the tone for the story. Things don’t go as planned. You know from then on that no one is safe. And then there is that one story within the story. The farm. The little hope. The one perfect evening. And the huge towering machines representing the big companies and the threat they pose if given too much power. And the movie is also about taking care of the nature. There is a lot of rust, collapsed buildings, holes in the walls. This is the post-apocalypse. The future if we don’t take care of our planet. And the movie ends in the lush greens of a great forest. And it is a movie about taking care of our elderly and of those who have sacrificed so much for us. I couldn’t help but think about the brave people who helped clear off the wreckage of 9/11 and have now been abandoned by the government for their serious health problems they got from that work, not covered properly. Xavier and the perfect evening. Wolverine is rated R (in Finland K-16) and it is definitely not suitable for children for all the very graphic violence it features. And it is good that it does, because it they had cut down the violence or made it “easier” or more fun, it would have ruined the movie. You need to see the fact of what it is to kill a person. And you need to see the pain. This movie is not going to make it easy for you. Not one bit. And then follows a warning. I cried so much during this movie that my shirt was still wet from tears almost two hours after the movie had ended. (I didn’t know that was even possible.) I have not cried this much since the ending of The Bridges of Madison County (1995). But this was through the whole movie. I had a splitting headache in the end from holding back the tears. I had also promised to appear in a panel after the movie as a Marvel expert (!) and I literally couldn’t speak for the first five minutes because I was trying to hold back the tears. And even after I managed to speak, my mind was racing all over the place and I had a really hard time remembering anything that was said to me. It was really embarrassing. :D But the point is, you might want to bring a handkerchief or a dozen with you. And in the end: a very special mention to Dafne Keen who played Laura. To be so young and so scary and so powerful. 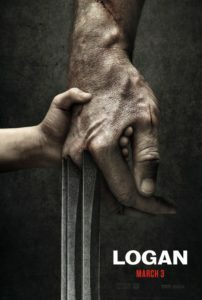 You know, the little kid in me was so envious of her to be able to fight alongside Wolverine. Holy sh*t that kid got to do what every one of us were dreaming and still do. She is my hero. A very strong performance. An amazing face. She was like Edward Furlong in Terminator 2: Judgment Day (1991). And I love that they didn’t try to soften the movie just because there was a kid there. They let her be a kid (the horse riding scene) but they were never untrue or made light of the story. I am very impressed. Good work, everyone. Good work, Mangold. SPOILERS! You have been warned! In the end I just want to point out few scenes that really struck me hard in the movie. I used to have a dog that was my everything: Roope, a 100 kg Newfoundland. He was the one who took care of me, and I knew I could always trust him. When I felt bad he would come to me and put his head on my shoulder, as if hugging me. I cried so many times with my face pressed against his thick fur. Then I moved out to live on my own. And I always remember the last visit home and the last time I spent time with him. My parent’s house has something like ten steps in front of the door, and I remember Roope whining outside, too scared to go up the steps he used to run up with no problems. And we would be there calling him and trying to encourage him to get up. And the poor dog was getting so old it couldn’t go outside fast enough to take care of his bodily functions, and he was so ashamed of the accidents. When I looked at Xavier crying on the ground, whimpering that this was no life to live, my heart sank. It was the same feeling. The sinking feeling of the one you thought invincible, always covering your back, disappearing into desperation, being so scared. Xavier’s dream gone. Where were his students? Where were the rest of the X-Men? He used to be in control, but now he was in control of nothing. And then there was that farm and the perfect evening. The dream Charles wanted. He got it for that one last time. And when Laura sees him and starts to scream, I totally lost it. And the farm itself. The good people, the nice family. And the gratitude that turned into a dying man’s last bitter act of revenge, and Wolverine knowing it would turn sour in the end all along, but he had almost let himself to believe it wouldn’t, not for Charles. And there were all those funny moments with Charles, that were not actually that funny when you think about it. The whole movie was about dying. About desperation. About losing all self-regard and dignity. About seeing it all fall into sh*t. And Charles was our measuring tool as to how far we had gone beyond the glory days. Another interesting scene was when the kids lifted Logan up to the meeting point. I had an instantaneous flashback to Mad Max Beyond Thunderdome (1985) with the kids placing their faith on that one adult. It was not really shown in the movie (I loved how much of the things were left to just little hints, not explained in full) but the reference to the Mad Max movie and the toy Wolverine one of the children was carrying, and the X-Men comics they all had been reading. And in the end, I loved Wolverine’s last words. He had been running away from death for so long. I didn’t much care for the words that were said on his grave (I think to appreciate them fully you need have seen the movie they were taken from), but the toy, the “X” on the grave and the rest… by far the best superhero movie so far. The bar has been raised.